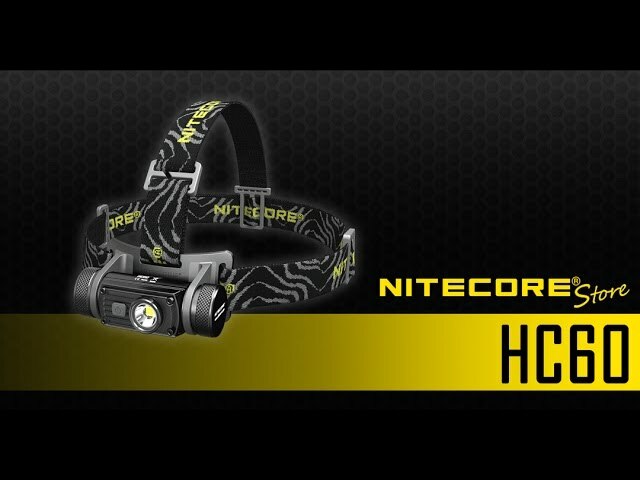 The HC60 headlamp from Nitecore is a lightweight, high intensity CREE headlamp that puts out a blinding 1,000 lumens of light. Made from a high quality aluminum alloy, this light was designed to be used outdoors and in rugged conditions. The HC60 lamp gives you 100 degrees of illumination with a tilting feature for maximum flexibility. With multiple brightness levels, this headlamp is highly versatile for any situation you may need it for, from minimal lowlight to maximum visibility. Also includes additional strobe, SOS and beacon settings. The headlamp is removable, also allowing you to also use it as a handheld light. You won't find a more versatile, brigher headlamp anywhere! Online ordering is temporarily unavailable. Please call 903-202-7044 to place your order.